Activated Charcoal 300mg 120 Capsules provide an easy to use daily supplement naturally steam activated from coconut shells. Activated charcoal has been used for thousands of years and has many health support functions, mainly being used to promote toxin cleansing. Activated charcoal works by binding other substances to its surface and can absorb thousands of times its own weight. It also has an huge surface area as a result of all of its pores – one cubic inch of charcoal has the surface area equivalent to a 150,000 square-foot field. This is why a little bit of charcoal can absorb vast amounts of toxins, atoms, and ions. Activated charcoal has many other uses. 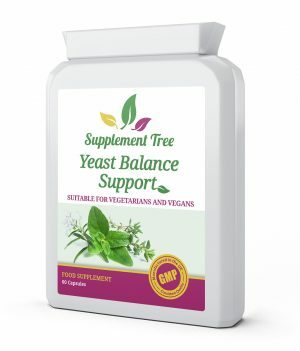 These include helping to maintain healthy looking skin and supporting normal healthy digestive function. Activated charcoal contributes to reducing excessive flatulence after eating. 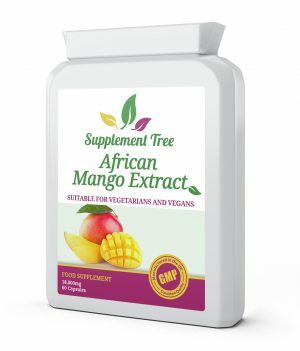 Supplement Tree Activated Charcoal Capsules are manufactured in the UK to GMP code of practice and ISO 9001 quality assurance certification. 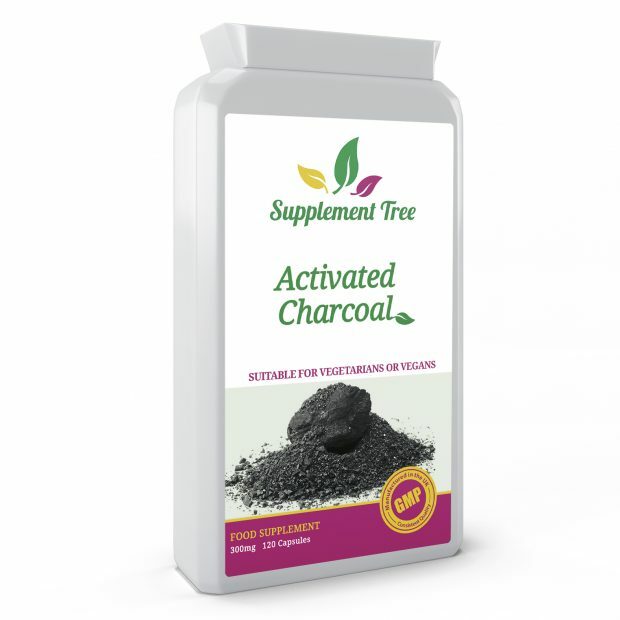 Easy to use daily steam activated charcoal supplement naturally sourced from coconut shells. Activated charcoal contributes to reducing excessive flatulence after eating. 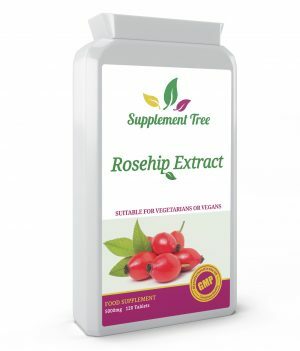 Can be used for detox support due to it’s ability to absorb and remove toxins. Can absorb thousands of times its own weight. Helps to maintain healthy looking skin. 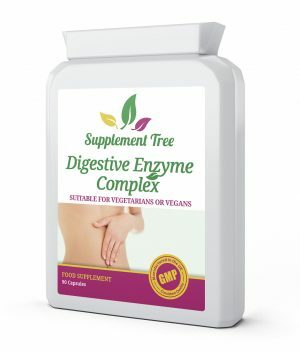 Supports normal healthy digestive function. Troo Health activated charcoal capsules are suitable for vegetarians and vegans. Take 2-4 activated charcoal capsules daily with plenty of water. If pregnant or lactating please consult your doctor before using food supplements. Do not exceed the stated dose unless under medical supervision. Do not use activated charcoal if you have any kind of intestinal obstruction. Do not use activated charcoal if you have a condition that slows the passage of food through your intestine (reduced peristalsis).